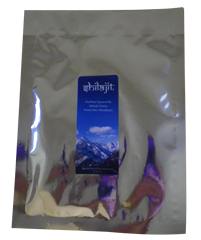 Contents: purified shilajit from the Nepalese Himalayas in paste form. This formula includes some of the world"s most important adaptogenic, antioxidant, and longevity herbs. It is intended for use by people who live a high stress life in which they are exposed to the ravages of electromagnetic, radioactive, metallic, and chemical pollutants. It can be used in small doses on practically a life-long basis or as protective agent when risks and stressors are greatest. Though it might be somewhat more suitable for men than for women, it is also safe for women to use. Contents: Proprietary blend of Withania somnifera root OG, Eleutherococcus senticosus root, Panax ginseng root, Schisandra chinesis berry, Salvia miltiorrhiza root OG, Shilajit WC and honey in distilled water, organic alcohol, and vegetable glycerin. This formula combines some of the world"s most famous female tonic herbs with adaptogens as well as rasayana herbs. It can be used by women during both puberty and menopause as well as by anyone coming off hormone replacement therapy. It offers the additional benefits of having some gentle detoxifying and immune enhancing properties along with support for the brain and neurological system. Anyone who has been exposed to excitotoxins, venom, infections of the brain and nervous system can consider this tonic for long-term use. Contents: Proprietary blend of Asparagus racemosus root OG, Rhodiola rosea root OG, Cimicifuga racemosa root OG, Dioscorea villosa, fresh root WC, Pfaffia paniculata root WC, Hemidesmus indicus root OG, Curcuma zedoaria rhizome OG, Glycyrrhiza glabra root, and honey in distilled water, organic alcohol, and vegetable glycerin.